Having read Jeff Cox’s glowing review, I was anxious to sample Chef Mateo Granados’ cuisine. Having traveled extensively in Mexico over the past 30 years, frequently to the Yucatan Peninsula, I know the food there well, so I was looking forward to some authentic Tendejon de Calle, the “taste of the street” that Chef Mateo is promoting with a modern twist. My friend Chef Mary Bergin was with me as we set out on a rainy Monday on the road to Healdsburg in hopes of a great meal and some serious window shopping afterwards! We entered the visually exciting restaurant furnished mostly with typical furniture from Mexico and interesting art adorning the walls. The indoor space is large with a long, handsome bar with tall rattan chairs and an outdoor patio in the rear of the restaurant for good weather dining. Since our intention was to order several dishes to share, we opted to sit at a long picnic table inside that is meant as a “share” table for diners. Now the menu. Tamales came in three varieties: Suckling Pig; Rocky Chicken and Seasonal Vegetables, all $10 each. 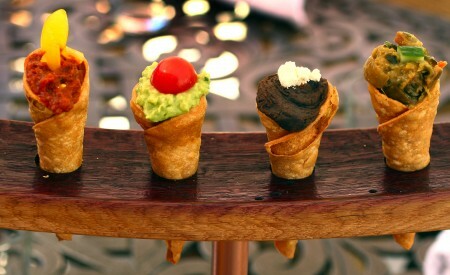 Tacones (crispy corn tortilla cones) with your choice of filling: Olive Oil Guacamole; Black Bean Puree with House-made Pork Chorizo; Carne Asada and Pan de Cazon (rock cod, tomato-habanero Sauce), all $4 each. This menu can get expensive quickly; especially if you order cocktails to wash down the food with. Our tab with only two cocktails; four Tacones; two Tamales one special and, a side of three corn tortillas came to $83 for lunch before tip! Ouch. We ordered two Tamales, Suckling Pig and Chicken and Veggie and two Tacones each, Pork Chorizo and Pan de Cazon (rock cod). The crispy tortilla cones were perfectly shaped, just like the small cones you get at an ice cream shop and displayed on a wooden rack. Unfortunately, the Suckling Pork filling in the Tamale was extremely bland and, the Rock Cod smelled so fishy it was off-putting. Fish should never smell. When it does it indicates it’s not fresh and my advise is “don’t eat it”. We didn’t! The Tamale with Chicken and Veggies was just okay. Again, where was the seasoning? The special which was recommended to us, a tortilla stuffed with pork and lamb was dry and tasteless. The only enjoyable portion of our meal were the hand-crafted Margaritas and the excellent house-made corn tortillas made from organic masa in three varieties: olive oil, sea salt and traditional, $1 each. Our consensus on the food: it’s trying too hard. Chef Mateo must be talented as his resume is impressive: in San Francisco, Masa’s, 42 Degrees, Alain Rondelli and Rubicon; in Healdsburg, Charlie Palmer’s Dry Creek Kitchen. But, I think he needs to return to his roots, relax his menu and put some flavor back into his dishes. The food of the Yucatan is simple, delicious and fresh. It’s not trendy. 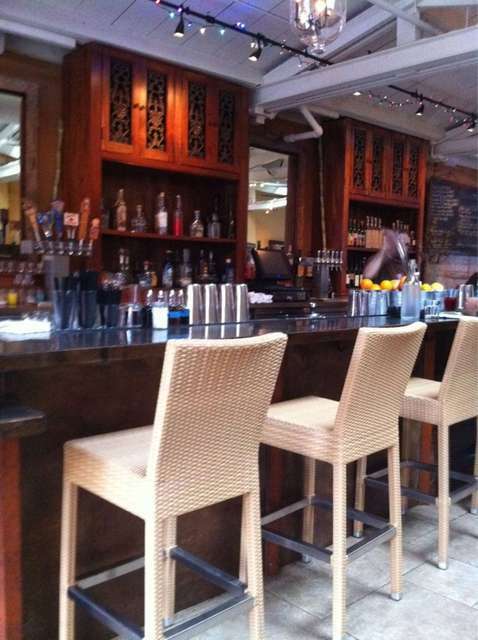 Recommendation for now: go for drinks at the bar and maybe some guacamole and chips! I will return in a month or two to see if things have improved.